小室一成グループ　論文疑惑: Mitochondrial DNA that escapes from autophagy causes inflammationand heart failure. Mitochondrial DNA that escapes from autophagy causes inflammationand heart failure. Nature. 2012 May 10;485(7397):251-5. doi: 10.1038/nature10992. Department of Cardiovascular Medicine, Osaka University Graduate School of Medicine, Suita, Osaka 565-0871, Japan. In this Letter, several images were mistakenly switched or duplicated during preparation of the artwork. In Figs 1f and 2a, the sham-operated Dnase2a−/− and TAC-operated Dnase2a+/+ mice panels were switched. In Fig. 4d, the panel showing CD3 staining for ODN2088 control-treated TAC-operated Dnase2a+/+ mice (now shown correctly as black-bordered panel in Fig. 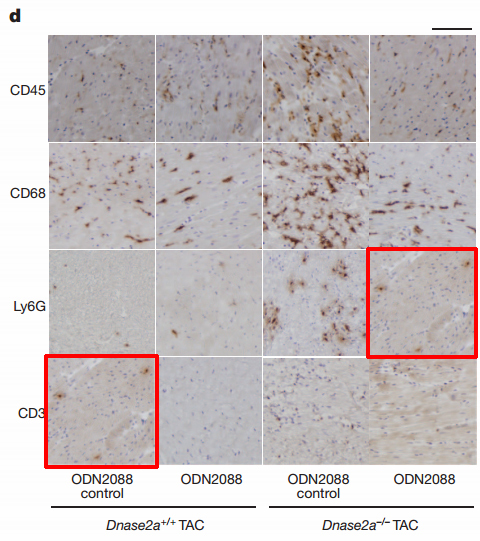 1 below) is a duplicate of that showing Ly6G staining for ODN2088-treated TAC-operated Dnase2a−/− mice. The panel showing CD45 staining for ODN2088-treated TAC-operated Dnase2a+/+ (now shown correctly as blue-bordered panel in Fig. 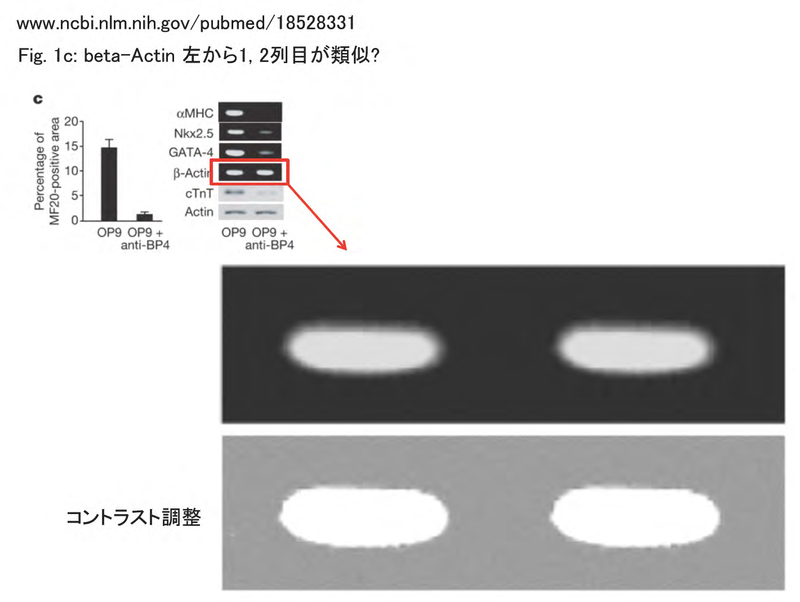 1 below) was prepared from the original picture of ODN2088 control-treated TAC-operated Dnase2a+/+. In Supplementary Fig. 4c, sham-operatedDnase2a−/− and TAC-operated Dnase2a+/+ mice panels were switched. Finally, in Supplementary Fig. 10d, the panels showing CD3 and Ly6G staining for sham-operated Tlr9+/+ mice were switched. These corrections do not alter any of the conclusions of this Letter, and the authors apologize for any confusion these errors may have caused.